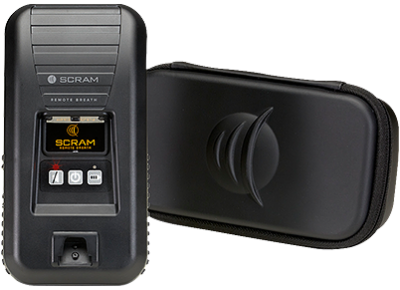 SCRAM Remote Breath is the world’s first handheld, wireless, portable breath alcohol device with automated facial recognition and GPS with every single test. 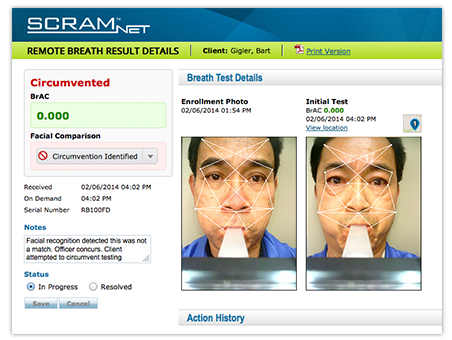 This device is ideal for your lower-risk offenders or those who have earned less intensive testing and monitoring. Government security grade Facial Recognition software. 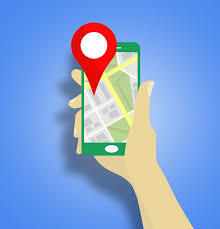 Automated matching which reduces manual review of photos. High-resolution images that clearly define the 5-10% you do review.